This age of austerity comes on the back of a lengthened period of apparently rampant consumer excess: that was a party for which we are all now having to pay. A spectacular period of unsustainably funded over-indulgence, it seems, has now given rise to a sobering period of barely fundable mere-subsistence. Consumption, narrated along such lines, is a sin which has to be paid for. Beyond the deceptive theology of consumption, however, lies actual politics. In May 2012, we hosted a conference at Dublin’s Royal Society of the Antiquaries of Ireland in order to analyse and debate the politics of consumption. This special issue is the outcome of the discussions which took place during that event. 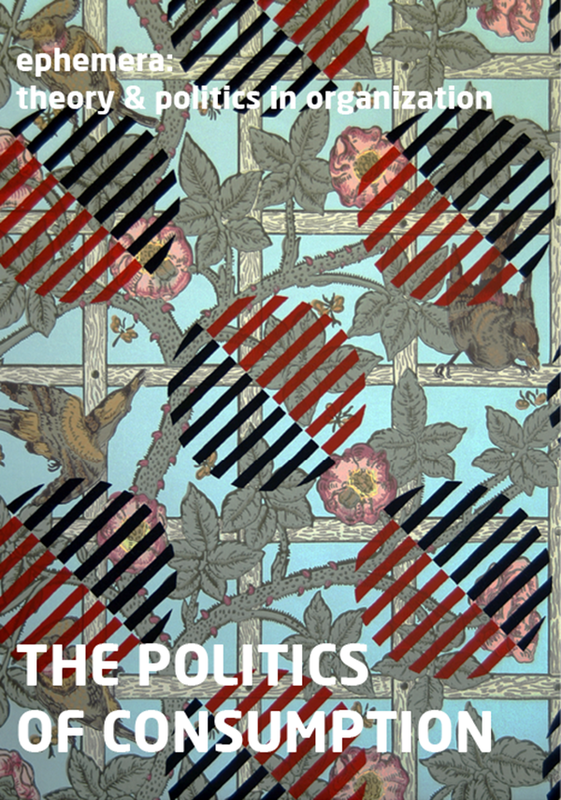 It features conceptual and empirical investigations into the politics of consumption, a head-to-head debate on the idea of consumer citizenship, a series of notes on the relationship between art, politics, and consumption, and reviews of two recent books. Taken together, these diverse pieces underline the need for a politically-oriented analysis of consumption, not only for the sake of informing academic debates but also for the sake of informing contemporary consumption practices. Consumption, we argue, is political: to approach it otherwise is to dogmatically seek refuge in a world of fantasy. Can the object be a comrade?